Philosophy of mind is the branch of philosophy that studies the nature of the mind, mental events, mental functions, mental properties, consciousness and their relationship to the physical body, particularly the brain. The mind-body problem, i.e. the relationship of the mind to the body, is commonly seen as the central issue in philosophy of mind, although there are other issues concerning the nature of the mind that do not involve its relation to the physical body. Dualism and monism are the two major schools of thought that attempt to resolve the mind-body problem. Dualism can be traced back to Plato, Aristotle and the Sankhya and Yoga schools of Hindu philosophy, but it was most precisely formulated by René Descartes in the 17th century. Substance Dualists argue that the mind is an independently existing substance, whereas Property Dualists maintain that the mind is a group of independent properties that emerge from and cannot be reduced to the brain, but that it is not a distinct substance. Most modern philosophers of mind adopt either a reductive or non-reductive physicalist position, maintaining in their different ways that the mind is not something separate from the body. These approaches have been particularly influential in the sciences, especially in the fields of sociobiology, computer science, evolutionary psychology and the various neurosciences. Other philosophers, however, adopt a non-physicalist position which challenges the notion that the mind is a purely physical construct. Reductive physicalists assert that all mental states and properties will eventually be explained by scientific accounts of physiological processes and states. Non-reductive physicalists argue that although the brain is all there is to the mind, the predicates and vocabulary used in mental descriptions and explanations are indispensable, and cannot be reduced to the language and lower-level explanations of physical science. Continued neuroscientific progress has helped to clarify some of these issues. However, they are far from having been resolved, and modern philosophers of mind continue to ask how the subjective qualities and the intentionality (aboutness) of mental states and properties can be explained in naturalistic terms. The mind-body problem concerns the explanation of the relationship that exists between minds, or mental processes, and bodily states or processes. The main aim of philosophers working in this area is to determine the nature of the mind and mental states/processes, and how--or even if--minds are affected by and can affect the body. Our perceptual experiences depend on stimuli which arrive at our various sensory organs from the external world and these stimuli cause changes in our mental states, ultimately causing us to feel a sensation, which may be pleasant or unpleasant. Someone's desire for a slice of pizza, for example, will tend to cause that person to move his or her body in a specific manner and in a specific direction to obtain what he or she wants. The question, then, is how it can be possible for conscious experiences to arise out of a lump of gray matter endowed with nothing but electrochemical properties. A related problem is to explain how someone's propositional attitudes (e.g. beliefs and desires) can cause that individual's neurons to fire and his muscles to contract in exactly the correct manner. These comprise some of the puzzles that have confronted epistemologists and philosophers of mind from at least the time of René Descartes. Dualism is a set of views about the relationship between mind and matter. It begins with the claim that mental phenomena are, in some respects, non-physical. One of the earliest known formulations of mind-body dualism was expressed in the eastern Sankhya and Yoga schools of Hindu philosophy (c. 650 BCE), which divided the world into purusha (mind/spirit) and prakrti (material substance). Specifically, the Yoga Sutra of Patanjali presents an analytical approach to the nature of the mind. In Western Philosophy, the earliest discussions of dualist ideas are in the writings of Plato and Aristotle. Each of these maintained, but for different reasons, that humans' "intelligence" (a faculty of the mind or soul) could not be identified with, or explained in terms of, their physical body. 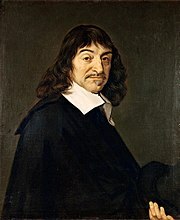 However, the best-known version of dualism is due to René Descartes (1641), and holds that the mind is a non-extended, non-physical substance. Descartes was the first to clearly identify the mind with consciousness and self-awareness, and to distinguish this from the brain, which was the seat of intelligence. He was therefore the first to formulate the mind-body problem in the form in which it still exists today. The most frequently used argument in favour of dualism is that it appeals to the common-sense intuition that conscious experience is distinct from inanimate matter. If asked what the mind is, the average person would usually respond by identifying it with their self, their personality, their soul, or some other such entity. They would almost certainly deny that the mind simply is the brain, or vice-versa, finding the idea that there is just one ontological entity at play to be too mechanistic, or simply unintelligible. 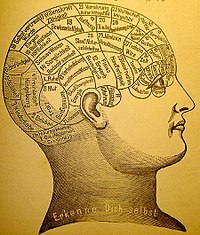 The majority of modern philosophers of mind think that these intuitions, like many others, are probably misleading and that we should use our critical faculties, along with empirical evidence from the sciences, to examine these assumptions to determine whether there is any real basis to them. Another important argument in favor of dualism is the idea that the mental and the physical seem to have quite different, and perhaps irreconcilable, properties. Mental events have a certain subjective quality to them, whereas physical events do not. So, for example, one can reasonably ask what a burnt finger feels like, or what a blue sky looks like, or what nice music sounds like to a person. But it is meaningless, or at least odd, to ask what a surge in the uptake of glutamate in the dorsolateral portion of the hippocampus feels like. The Argument from Reason holds that if, as monism, all of our thoughts are the effect of a physical cause, then we have no reason for assuming that they are also the consequent of a reasonable ground. Knowledge, however, is apprehended by reasoning from ground to consequent. Therefore, if monism, there would be no way of knowing it—or anything else not the direct result of a physical cause—and we could not even suppose it, except by a fluke. Descartes' famous argument for this position can be summarized as follows: Seth has a clear and distinct idea of his mind as a thinking thing which has no spatial extension (i.e., it cannot be measured in terms of length, weight, height, and so on). He also has a clear and distinct idea of his body as something that is spatially extended, subject to quantification and not able to think. It follows that mind and body are not identical because they have radically different properties. Descartes' argument crucially depends on the premise that what Seth believes to be "clear and distinct" ideas in his mind are necessarily true. Many contemporary philosophers doubt this. For example, Joseph Agassi suggests that several scientific discoveries made since the early 20th century have undermined the idea of privileged access to one's own ideas. Freud has shown that a psychologically-trained observer can understand a person's unconscious motivations better than the person himself does. Duhem has shown that a philosopher of science can know a person's methods of discovery better than that person herself does, while Malinowski has shown that an anthropologist can know a person's customs and habits better than the person whose customs and habits they are. He also asserts that modern psychological experiments that cause people to see things that are not there provide grounds for rejecting Descartes' argument, because scientists can describe a person's perceptions better than the person herself can. Three varieties of dualism. The arrows indicate the direction of the causal interactions. Property dualism and Occasionalism are not shown. Occasionalism is the view espoused by Nicholas Malebranche which asserts that all supposedly causal relations between physical events, or between physical and mental events, are not really causal at all. While body and mind are different substances, causes (whether mental or physical) are related to their effects by an act of God's intervention on each specific occasion. Epiphenomenalism is a doctrine first formulated by Thomas Henry Huxley. It consists in the view that mental phenomena are causally ineffectual. Physical events can cause other physical events and physical events can cause mental events, but mental events cannot cause anything, since they are just causally inert by-products (i.e. epiphenomena) of the physical world. This view has been defended most strongly in recent times by Frank Jackson. Property dualism asserts that when matter is organized in the appropriate way (i.e. in the way that living human bodies are organized), mental properties emerge. Hence, it is a sub-branch of emergent materialism. These emergent properties have an independent ontological status and cannot be reduced to, or explained in terms of, the physical substrate from which they emerge. This position is espoused by David Chalmers and has undergone something of a renaissance in recent years,  but was already suggested in the 19th century by William James. In contrast to dualism, monism states that there are no fundamental divisions. Today, the most common forms of monism in Western philosophy are physicalist. Physicalistic monism asserts that the only existing substance is physical, in some sense of that term to be clarified by our best science. However, a variety of formulations (see below) are possible. Another form of monism, idealism, states that the only existing substance is mental. Although pure idealism, such as that of George Berkeley, is uncommon in contemporary Western philosophy, a more sophisticated variant called panpsychism, according to which mental experience and properties may be at the foundation of physical experience and properties, has been espoused by some philosophers such as William Seager. Phenomenalism is the theory that representations (or sense data) of external objects are all that exist. Such a view was briefly adopted by Bertrand Russell and many of the logical positivists during the early 20th century. A third possibility is to accept the existence of a basic substance which is neither physical nor mental. The mental and physical would then both be properties of this neutral substance. Such a position was adopted by Baruch Spinoza and was popularized by Ernst Mach in the 19th century. This neutral monism, as it is called, resembles property dualism. Philosophical behaviorism, notably held by Wittgenstein, has fallen out of favor since the latter half of the 20th century, coinciding with the rise of cognitivism. Cognitivists reject behaviorism due to several perceived problems. For example, behaviorism could be said to be counter-intuitive when it maintains that someone is talking about behavior in the event that a person is experiencing a painful headache. Despite its initial plausibility, the identity theory faces a strong challenge in the form of the thesis of multiple realizability, first formulated by Hilary Putnam. It is obvious that not only humans, but many different species of animal can, for example, experience pain. However, it seems highly unlikely that all of these diverse organisms with the same pain experience are in the same identical brain state. And if the latter is the case, then pain cannot be identical to a specific brain state. The identity theory is thus empirically unfounded. On the other hand, even granted all above, it does not follow that identity theories of all types must be abandoned. According to token identity theories, the fact that a certain brain state is connected with only one mental state of a person does not have to mean that there is an absolute correlation between types of mental states and types of brain state. The type-token distinction can be illustrated by a simple example: the word "green" contains four types of letters (g, r, e, n) with two tokens (occurrences) of the letter e along with one each of the others. The idea of token identity is that only particular occurrences of mental events are identical with particular occurrences or tokenings of physical events. Anomalous monism (see below) and most other non-reductive physicalisms are token-identity theories. Despite these problems, there is a renewed interest in the type identity theory today, primarily due to the influence of Jaegwon Kim. Functionalism was formulated by Hilary Putnam and Jerry Fodor as a reaction to the inadequacies of the identity theory. Putnam and Fodor saw mental states in terms of an empirical computational theory of the mind. At about the same time or slightly after, D.M. Armstrong and David Kellogg Lewis formulated a version of functionalism which analyzed the mental concepts of folk psychology in terms of functional roles. Finally, Wittgenstein's idea of meaning as use led to a version of functionalism as a theory of meaning, further developed by Wilfrid Sellars and Gilbert Harman. Another one, psychofunctionalism, is an approach adopted by naturalistic Philosophy of Mind associated with Jerry Fodor and Zenon Pylyshyn. Many philosophers hold firmly to two essential convictions with regard to mind-body relations: 1) Physicalism is true and mental states must be physical states, but 2) All reductionist proposals are unsatisfactory: mental states cannot be reduced to behavior, brain states or functional states. Hence, the question arises whether there can still be a non-reductive physicalism. Donald Davidson's anomalous monism is an attempt to formulate such a physicalism. A basic idea which all non-reductive physicalists share in common is the thesis of supervenience: mental states supervene on physical states, but are not reducible to them. "Supervenience" therefore describes a functional dependence: there can be no change in the mental without some change in the physical. Emergentism is a form of "nonreductive physicalism" that involves a layered view of nature, with the layers arranged in terms of increasing complexity and each corresponding to its own special science. Some philosophers hold that emergent properties causally interact with more fundamental levels, while others maintain that higher-order properties simply supervene over lower levels without direct causal interaction. The latter group therefore holds a stricter definition of emergentism, which can be rigorously stated as follows: a property P of composite object O is emergent if it is metaphysically possible for another object to lack property P even if that object is composed of parts with intrinsic properties identical to those in O and has those parts in an identical configuration. If one is a materialist but believes that not all aspects of our common sense psychology will find reduction to a mature cognitive-neuroscience, and that a non-reductive materialism is mistaken, then one can adopt a final, more radical position: eliminative materialism. There are several varieties of eliminative materialism, but all maintain that our common-sense "folk psychology" badly misrepresents the nature of some aspect of cognition. Eliminativists regard folk psychology as a falsifiable theory, and one likely to be falsified by future cognitive-neuroscientific research. Should better theories of the mental come along they argue, we might need to discard certain basic common-sense mental notions that we have always taken for granted, such as belief, consciousness, emotion, qualia, or propositional attitudes. Eliminativists such as Patricia and Paul Churchland argue that while folk psychology treats cognition as fundamentally sentence-like, the non-linguistic vector/matrix model of neural network theory or connectionism will prove to be a much more accurate account of how the brain works. The Churchlands often invoke the fate of other, erroneous popular theories and ontologies which have arisen in the course of history. For example, Ptolemaic astronomy served to explain and roughly predict the motions of the planets for centuries, but eventually this model of the solar system was eliminated in favor of the Copernican model. The Churchlands believe the same eliminative fate awaits the "sentence-cruncher" model of the mind in which thought and behavior are the result of manipulating sentence-like states called "propositional attitudes." Each attempt to answer the mind-body problem encounters substantial problems. Some philosophers argue that this is because there is an underlying conceptual confusion. These philosophers, such as Ludwig Wittgenstein and his followers in the tradition of linguistic criticism, therefore reject the problem as illusory. They argue that it is an error to ask how mental and biological states fit together. Rather it should simply be accepted that human experience can be described in different ways - for instance, in a mental and in a biological vocabulary. Illusory problems arise if one tries to describe the one in terms of the other's vocabulary or if the mental vocabulary is used in the wrong contexts. This is the case, for instance, if one searches for mental states of the brain. The brain is simply the wrong context for the use of mental vocabulary - the search for mental states of the brain is therefore a category error or a sort of fallacy of reasoning. Many mental states have the property of being experienced subjectively in different ways by different individuals. For example, it is characteristic of the mental state of pain that it hurts. Moreover, your sensation of pain may not be identical to mine, since we have no way of measuring how much something hurts nor of describing exactly how it feels to hurt. Philosophers and scientists ask where these experiences come from. Nothing indicates that a neural or functional state can be accompanied by such a pain experience. Often the point is formulated as follows: the existence of cerebral events, in and of themselves, cannot explain why they are accompanied by these corresponding qualitative experiences. The puzzle of why many cerebral processes occur with an accompanying experiential aspect in consciousness seems impossible to explain. The problem of explaining the introspective, first-person aspects of mental states, and consciousness in general, in terms of third-person quantitative neuroscience is called the explanatory gap. There are several different views of the nature of this gap among contemporary philosophers of mind. David Chalmers and the early Frank Jackson interpret the gap as ontological in nature; that is, they maintain that qualia can never be explained by science because physicalism is false. There are two separate categories involved and one cannot be reduced to the other. An alternative view is taken by philosophers such as Thomas Nagel and Colin McGinn. According to them, the gap is epistemological in nature. For Nagel, science is not yet able to explain subjective experience because it has not yet arrived at the level or kind of knowledge that is required. We are not even able to formulate the problem coherently. For McGinn, on other hand, the problem is one of permanent and inherent biological limitations. We are not able to resolve the explanatory gap because the realm of subjective experiences is cognitively closed to us in the same manner that quantum physics is cognitively closed to elephants. Other philosophers liquidate the gap as purely a semantic problem. Within the field of neurobiology, there are many subdisciplines which are concerned with the relations between mental and physical states and processes: Sensory neurophysiology investigates the relation between the processes of perception and stimulation. Cognitive neuroscience studies the correlations between mental processes and neural processes. Neuropsychology describes the dependence of mental faculties on specific anatomical regions of the brain. Lastly, evolutionary biology studies the origins and development of the human nervous system and, in as much as this is the basis of the mind, also describes the ontogenetic and phylogenetic development of mental phenomena beginning from their most primitive stages. The methodological breakthroughs of the neurosciences, in particular the introduction of high-tech neuroimaging procedures, has propelled scientists toward the elaboration of increasingly ambitious research programs: one of the main goals is to describe and comprehend the neural processes which correspond to mental functions (see: neural correlate). Several groups are inspired by these advances. New approaches to this question are being pursued by Steven Ericsson-Zenith at the Institute for Advanced Science & Engineering, where they propose a new mechanics for devices called 'machines that experience', designed to implement sentience and the fundament mechanisms of motility and recognition. Jeff Hawkins has established the Redwood Center for Theoretical Neuroscience at Berkeley, where they explore biomimicry for recognition algorithms. Computer science concerns itself with the automatic processing of information (or at least with physical systems of symbols to which information is assigned) by means of such things as computers. From the beginning, computer programmers have been able to develop programs which permit computers to carry out tasks for which organic beings need a mind. A simple example is multiplication. But it is clear that computers do not use a mind to multiply. Could they, someday, come to have what we call a mind? This question has been propelled into the forefront of much philosophical debate because of investigations in the field of artificial intelligence. Within AI, it is common to distinguish between a modest research program and a more ambitious one: this distinction was coined by John Searle in terms of a weak AI and strong AI. The exclusive objective of "weak AI", according to Searle, is the successful simulation of mental states, with no attempt to make computers become conscious or aware, etc. The objective of strong AI, on the contrary, is a computer with consciousness similar to that of human beings. The program of strong AI goes back to one of the pioneers of computation Alan Turing. As an answer to the question "Can computers think? ", he formulated the famous Turing test. Turing believed that a computer could be said to "think" when, if placed in a room by itself next to another room which contained a human being and with the same questions being asked of both the computer and the human being by a third party human being, the computer's responses turned out to be indistinguishable from those of the human. Essentially, Turing's view of machine intelligence followed the behaviourist model of the mind - intelligence is as intelligence does. The Turing test has received many criticisms, among which the most famous is probably the Chinese room thought experiment formulated by Searle. In Georg Wilhelm Friedrich Hegel's Phenomenology of Mind, Hegel discusses three distinct types of mind: the subjective mind, the mind of an individual; the objective mind, the mind of society and of the State; and the Absolute mind, a unity of all concepts. See also Hegel's Philosophy of Mind from his Encyclopedia. In modern times, the two main schools that have developed in response or opposition to this Hegelian tradition are phenomenology and existentialism. Phenomenology, founded by Edmund Husserl, focuses on the contents of the human mind (see noema) and how phenomenological processes shape our experiences. Existentialism, a school of thought founded upon the work of Søren Kierkegaard and Friedrich Nietzsche, focuses on the content of experiences and how the mind deals with such experiences. An important, though not very well known, example of a philosopher of mind and cognitive scientist who tries to synthesize ideas from both traditions is Ron McClamrock. Borrowing from Herbert Simon and also influenced by the ideas of existential phenomenologists such as Maurice Merleau-Ponty and Martin Heidegger, McClamrock suggests that humans' condition of being-in-the-world ("Dasein", "In-der-welt-sein") makes it impossible for them to understand themselves by abstracting away from it and examining it as if it were a detached experimental object of which they themselves are not an integral part. Eastern traditions such as Buddhism and Hinduism do not hold to the dualistic mind/body model but do assert that the mind and body are separate entities. Buddhism in particular does not hold to the notion of a soul, or atman, but does assert that a very subtle level of mind leaves the body at the time of death and goes to a new life. According to Buddhist scholar Dharmakirti, the definition of mind is that which is clarity and cognizes. In this definition, 'clarity' refers to the nature of mind, and 'cognizes' to the function of mind. Mind is clarity because it always lacks form and because it possesses the actual power to perceive objects. Mind cognizes because its function is to know or perceive objects. In Ornament of the Seven Sets, Buddhist scholar Khedrubje says that thought, awareness, mind and cognizer are synonyms. Buddha explained that although mind lacks form, it can nevertheless be related to form. Thus, our mind is related to our body and is "located" at different places throughout the body. This is to be understood in the context of how the five sense consciousnesses and the mental consciousness are generated. There are many different types of mind -- sense awarenesses, mental awarenesses, gross minds, subtle minds, and very subtle minds -- and they are all formless (lacking shape, color, sound, smell, taste or tactile properties) and they all function to cognize or know. There is no such thing as a mind without an object known by that mind. Even though none of these minds is form, they can be related to form. This argumentation is rejected, on the one hand, by the compatibilists. Those who adopt this position suggest that the question "Are we free?" can only be answered once we have determined what the term "free" means. The opposite of "free" is not "caused" but "compelled" or "coerced". It is not appropriate to identify freedom with indetermination. A free act is one where the agent could have done otherwise if it had chosen otherwise. In this sense a person can be free even though determinism is true. The most important compatibilist in the history of the philosophy was David Hume. More recently, this position is defended, for example, by Daniel Dennett, and, from a dual-aspect perspective, by Max Velmans. On the other hand, there are also many incompatibilists who reject the argument because they believe that the will is free in a stronger sense called libertarianism. These philosophers affirm that the course of the world is not completely determined by natural laws: the will at least does not have to be and, therefore, it is potentially free. Critics of this position accuse the incompatibilists of using an incoherent concept of freedom. They argue as follows: if our will is not determined by anything, then we desire what we desire by pure chance. And if what we desire is purely accidental, we are not free. So if our will is not determined by anything, we are not free. The philosophy of mind also has important consequences for the concept of self. If by "self" or "I" one refers to an essential, immutable nucleus of the person, most modern philosophers of mind will affirm that no such thing exists. The idea of a self as an immutable essential nucleus derives from the idea of an immaterial soul. Such an idea is unacceptable to most contemporary philosophers, due to their physicalistic orientations, and due to a general acceptance among philosophers of the scepticism of the concept of 'self' by David Hume, who could never catch himself doing, thinking or feeling anything. However, in the light of empirical results from developmental psychology, developmental biology and neuroscience, the idea of an essential inconstant, material nucleus - an integrated representational system distributed over changing patterns of synaptic connections - seems reasonable. The view of the self as an illusion is widely accepted by many philosophers, such as Daniel Dennett and Thomas Metzinger. ^ a b c d e f Kim, J. (1995). Honderich, Ted. ed. Problems in the Philosophy of Mind. Oxford Companion to Philosophy. Oxford: Oxford University Press. ^ a b Plato (1995). E.A. Duke, W.F. Hicken, W.S.M. Nicoll, D.B. Robinson, J.C.G. Strachan. ed. Phaedo. Clarendon Press. ^ a b Robinson, H. (1983): ‘Aristotelian dualism’, Oxford Studies in Ancient Philosophy 1, 123–44. ^ a b Sri Swami Sivananda. "Sankhya:Hindu philosophy: The Sankhya". http://www.experiencefestival.com/a/Sankhya/id/23117. ^ a b c d e f Descartes, René (1998). Discourse on Method and Meditations on First Philosophy. Hacket Publishing Company. ISBN 0-87220-421-9. ^ a b c d e Kim, J., "Mind-Body Problem", Oxford Companion to Philosophy. Ted Honderich (ed.). Oxford:Oxford University Press. 1995. ^ a b c Churchland, Patricia (1986). Neurophilosophy: Toward a Unified Science of the Mind-Brain.. MIT Press. ISBN 0-262-03116-7. ^ a b Churchland, Paul (1981). "Eliminative Materialism and the Propositional Attitudes". Journal of Philosophy 78: 67–90. doi:10.2307/2025900. ^ a b Donald Davidson (1980). Essays on Actions and Events. Oxford University Press. ISBN 0-19-924627-0. ^ a b c d Putnam, Hilary (1967). "Psychological Predicates", in W. H. Capitan and D. D. Merrill, eds., Art, Mind and Religion (Pittsburgh: University of Pittsburgh Press. ^ a b Dennett, Daniel (1998). The intentional stance. Cambridge, Mass. : MIT Press. ISBN 0-262-54053-3. ^ a b Searle, John (2001). Intentionality. A Paper on the Philosophy of Mind. Frankfurt a. M.: Nachdr. Suhrkamp. ISBN 3-518-28556-4. ^ a b c Jackson, F. (1982) “Epiphenomenal Qualia.” Reprinted in Chalmers, David ed. :2002. Philosophy of Mind: Classical and Contemporary Readings. Oxford University Press. ^ a b c Nagel, T. (1974.). "What is it like to be a bat?". Philosophical Review (83): 435–456. ^ Popper, Karl and Eccles, John (2002). The Self and Its Brain. Springer Verlag. ISBN 3-492-21096-1. ^ a b Robinson, Howard (2003-08-19). "Dualism". The Stanford Encyclopedia of Philosophy (Fall 2003 Edition). Center for the Study of Language and Information, Stanford University. http://plato.stanford.edu/archives/fall2003/entries/dualism/. Retrieved on 2006-09-25. ^ Leibniz, Gottfried Wilhelm. Monadology. ^ Schmaltz, Tad (2002). "Nicolas Malebranche". The Stanford Encyclopedia of Philosophy (Summer 2002 Edition). Center for the Study of Language and Information, Stanford University. http://plato.stanford.edu/archives/sum2002/entries/malebranche/. Retrieved on 2006-09-25. ^ Jackson, Frank (1986,). "What Mary didn't know". Journal of Philosophy. : 291–295. ^ a b Chalmers, David (1996). The Conscious Mind. Oxford University Press. ISBN 9780195117899. ^ a b c d e f g h i Stoljar, Daniel (2005). "Physicalism". The Stanford Encyclopedia of Philosophy (Winter 2005 Edition). Center for the Study of Language and Information, Stanford University. http://plato.stanford.edu/archives/win2005/entries/physicalism/. Retrieved on 2006-09-24. ^ Skinner, B.F. (1972). Beyond Freedom & Dignity. New York: Bantam/Vintage Books. ^ Ryle, Gilbert (1949). The Concept of Mind. Chicago: Chicago University Press. ISBN 0-226-73295-9. ^ Place, Ullin (1956). "Is Consciousness a Brain Process?". British Journal of Psychology. ^ Davidson, D. (2001). Subjective, Intersubjective, Objective. Oxford: Oxford University Press. ISBN 88-7078-832-6. ^ a b Hacker, Peter (2003). Philosophical Foundations of Neuroscience. Blackwel Pub.. ISBN 1-4051-0838-X. ^ a b c Wittgenstein, Ludwig (1954). Philosophical Investigations. New York: Macmillan. ^ Putnam, Hilary (2000). The Threefold Cord: Mind, Body, and World. New York: Columbia University Press. ISBN 0-231-10286-0. ^ Fodor, Jerry (1993). Psychosemantics. The problem of meaning in the philosophy of mind. Cambridge: MIT Press. ISBN 0-262-06106-6. ^ a b c Pinel, J.P.J (1997). Psychobiology. Prentice Hall. ISBN 88-15-07174-1. ^ Sipser, M. (1998). Introduction to the Theory of Computation. Boston, Mass. : PWS Publishing Co.. ISBN 0-534-94728-X. ^ a b Searle, John (1980). "Minds, Brains and Programs". The Behavioral and Brain Sciences (3): 417–424. ^ Russell, S. and Norvig, R. (1995). Artificial Intelligence:A Modern Approach. New Jersey: Prentice Hall, Inc.. ISBN 0-13-103805-2. ^ "Encyclopedia of Psychology". http://www.psychology.org. ^ a b c Dummett, M. (2001). Origini della Filosofia Analitica. Einaudi. ISBN 88-06-15286-6. ^ Hegel, G.W.F. Phenomenology of Spirit. , translated by A.V. Miller with analysis of the text and foreword by J. N. Findlay (Oxford: Clarendon Press, 1977) ISBN 0-19-824597-1 . ^ McClamrock, Ron (1995). Existential Cognition: Computational Minds in the World. Chicago: University of Chicago Press. ^ a b c d "Philosopher Ted Honderich's Determinism web resource". http://www.ucl.ac.uk/~uctytho/dfwIntroIndex.htm. ^ Dennett, Daniel (1984). The Varieties of Free Will Worth Wanting. Cambridge MA: Bradford Books-MIT Press. ISBN 0-262-54042-8. ^ Velmans, Max (2003). How could conscious experiences affect brains?. Exeter: Imprint Academic. ISBN 0907845-39-8. ^ Dennett, C. and Hofstadter, D.R. (1981). The Mind's I. Bantam Books. ISBN 0-553-01412-9. ^ Searle, John (Jan 2005). Mind: A Brief Introduction. Oxford University Press Inc, USA. ISBN 0-19-515733-8. ^ LeDoux, Joseph (2002). The Synaptic Self. New York: Viking Penguin. ISBN 88-7078-795-8. What is the mind? An eastern perspective. This page was last modified on 7 April 2009, at 07:26.